This modish holiday destination is conveniently located in French Riviera and connected with other hot and no so distant locations such as Nice and Cannes. When Romans firstly took over this fishing village and turned it into strategically important point on Mediterranean, no one ever guessed that it will become a highly sought-after tourist center as we know it today. Nowadays, Saint-Tropez is famous for often spotted celebrities and opulent lifestyle, and it remains one glamorous place for vacation that entices well-off tourists with variety of lush beaches, four and five star hotels as well as with authentic Provençal cuisine! On the other hand, Saint-Tropez is also tightly related with a sort of fashion revolution that happened in Europe in the ‘60s and echoed throughout the entire world, when monokini was firstly introduced as a swimming-suite that paved the way for equality between the genders. These days, there are many nudist and private beaches in Saint-Tropez that are proven to be perfect tanning and water sport hotspots, offering a maximum of pleasure and relaxation, where an easy-going hedonism is simply a form of a lifestyle. In other words, St Trop simply attracts with various enjoyments that quickly captivate all our senses and awaken the enthusiasm in the classiest possible way! The car rental in Saint-Tropez is a great way to enhance an already fashionable holiday and bring it to the next level. And hiring a luxury car rental Saint Tropez model, such as Audi TT Roadster can be a great choice indeed, especially if you’re a fan of stylish convertibles that incline towards the classic look. This Audi’s creation truly has it all: a comfortable interior, supreme design and mesmerizing performance that will take you anyway you want. And to be completely frank, what is a summer holiday without a matching cabriolet? In this sophisticated vehicle, you will find a faithful companion, which will make your stay here a one of a kind! But there are other alternatives that would be equally convenient, depending on your personal taste and needs. For instance, you can go with Maserati’s Granturismo if you have appreciation for sporty, yet superior look that will certainly provoke sighs anywhere you go. Maserati has proven to be a synonym of state-of art -design and ultimate performance that rarely leave any true car lover indifferent, and we’re sure that you would love for your holiday to be the same as the vehicle you’ve rented: unforgettable and exclusive! Also, if you’re near closing a business deal and want to hire a model that meets all the necessary requirements in terms of design, elegance, practicality and comfort, then you should definitely consider Mercedes CLS, a classical masterpiece on four wheels. And from this model you can expect nothing but an uncompromising versatility, brilliant ride and full functionality that will make your stay in Saint-Tropez equally pleasant and efficient. However, there’re a few things to keep in mind for all those who decide to pay a visit to Tropezian beaches: they’re all situated next to each other, and it would be best to visit them on foot while enjoying surrounding scenery, where prevailing color is soothing, deep azure blue. Unfortunately when using luxury car rental Saint Tropez, frequent traffic jams are also a part of Saint-Tropez reality, especially during the summer season. Entering the town by car can be quite difficult, since it has old, narrow streets where lots of tourists are constantly passing. There is a large parking lot at the town’s border, and the center is located within a close walking distance from there. Still, you can complement your stay and enjoy the ride by visiting the nearby areas, which is a highly recommendable venture. Just take one of the three main roads that lead to St Trop. The one of them goes near the sea, and this is the former RN 98 which connects Toulon-La Valette-du-Var, Saint-Raphaël, Cannes, Nice and Monaco, called “Beach Road”, with routes to Pampelonne, Ramatuelle and La Croix – Valmer. This can be a perfect chance to explore the potentials of the vehicle you’ve hired but make sure to follow the strict traffic regulations in order to avoid the speeding tickets. The speed limit rarely exceeds the 50km/h whilst in the populated and residential areas sometimes it doesn’t go above 30 km/h, so it would be wise to follow all the rules and enjoy the ride. 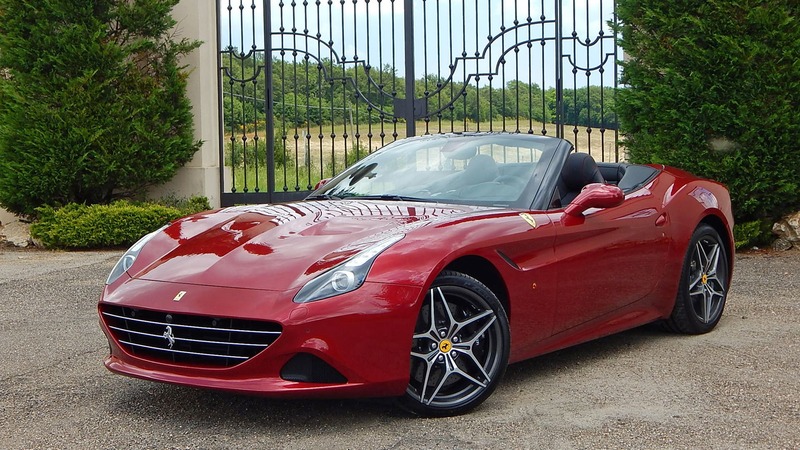 Bon voyage with luxury car rental Saint Tropez!